Waterlilies floating in a pool, a river slowly winding through a valley, wave-battered cliffs, leaves blowing in the breeze, a field of poppies – these are just some of the famous examples where Monet captures the essence of a moment with each variation in colour. 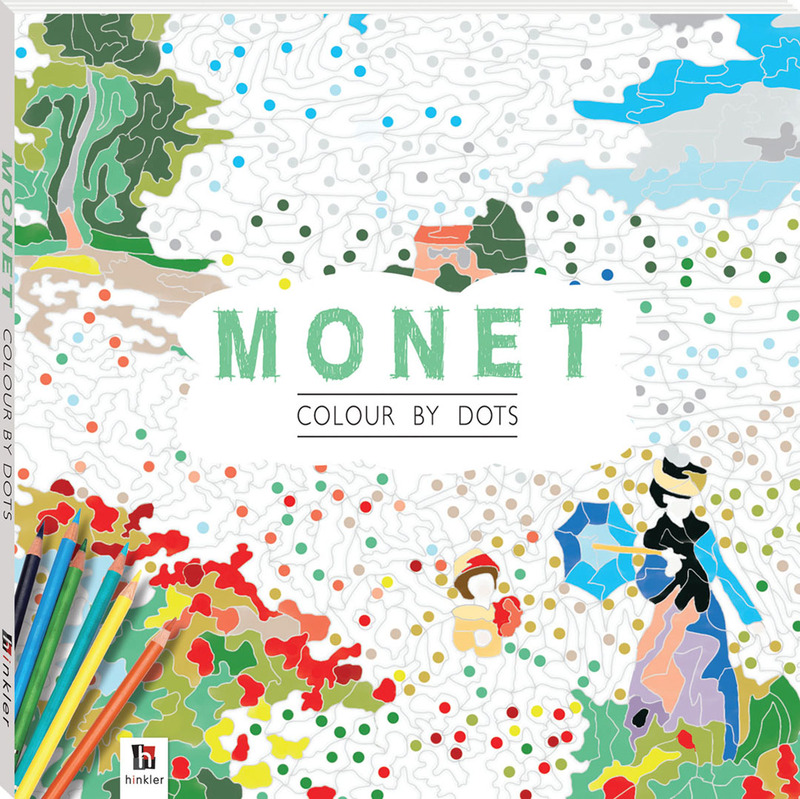 Enjoy discovering the hidden masterpieces that reveal themselves as you add colour to these pages. Using pencils, crayons or felt-tip pens, immerse yourself in a world of colour and rediscover the joy of being creative as you follow in the footsteps of the master of impressionist painting.